An extremely beautiful piece of art with intricate hand works is this exhibit. 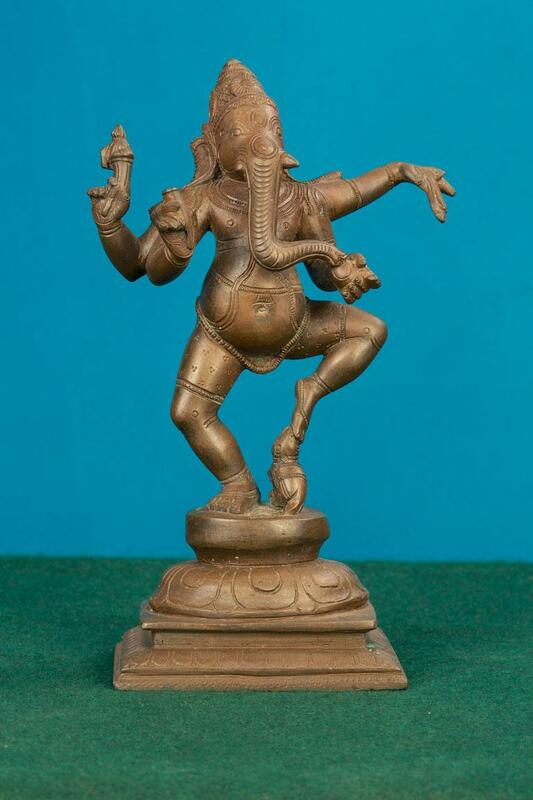 Here, Lord Ganesh is seen in a dancing posture. The figure has four hands and is standing on a lotus pedestal. Mouse, the vehicle or vahana of Lord Ganesha can be seen on the pedestal as well.